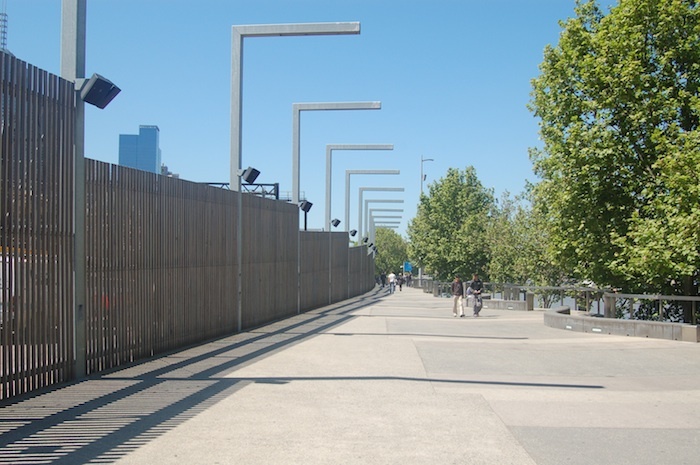 South African artist James Webb created a public sound intervention in Melbourne, presented as part of the 2009 Melbourne International Arts Festival. 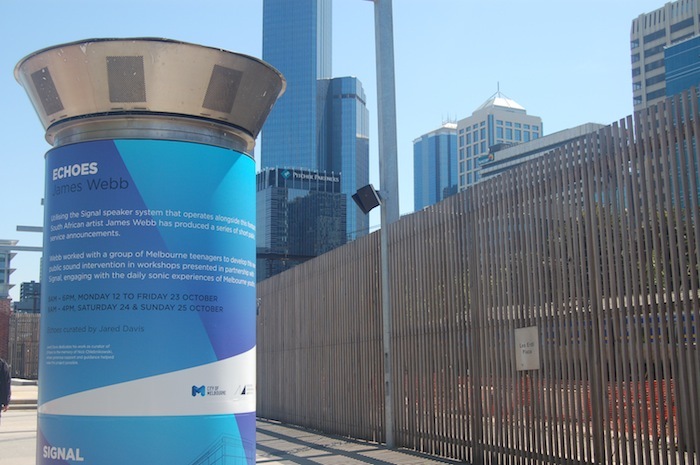 Utilising the Signal speaker system at Northbank on the Yarra River, Webb’s project broadcast multi-lingual public service announcements declaring, Ladies and Gentlemen, your attention please. You are reminded that everything is fine. Webb worked with a group of Melbourne teenagers in workshops presented in partnership with Signal engaging with the daily sonic experiences of Melbourne youths.